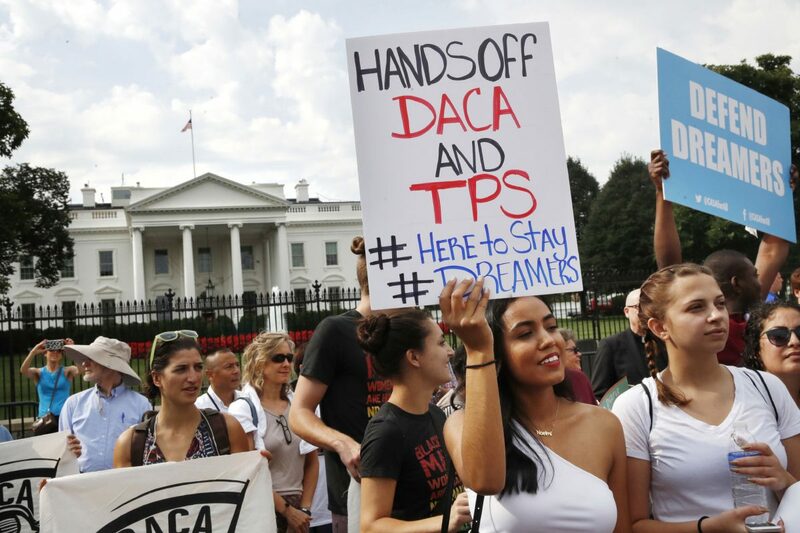 Yurexi Quinones, 24, of Manassas, Va., a college student who is studying social work and a recipient of Deferred Action for Childhood Arrivals, known as DACA, rallies next to Ana Rice, 18, of Manassas, Va., far right, in support of DACA, outside of the White House in Washington, Tuesday, Sept. 5, 2017. President Donald Trump plans to end a program that has protected hundreds of thousands of young immigrants brought into the country illegally as children and call for Congress to find a legislative solution. In announcing Tuesday that he was phasing out a controversial program that has allowed immigrant youth who were brought to this country illegally to stay and work here legally, President Donald Trump kicked the responsibility to Congress, saying that institution must set immigration policies — not the president. Trump also said the DACA program (Deferred Action for Childhood Arrivals) was never meant to be a long-term solution. And he’s right; it wasn’t. 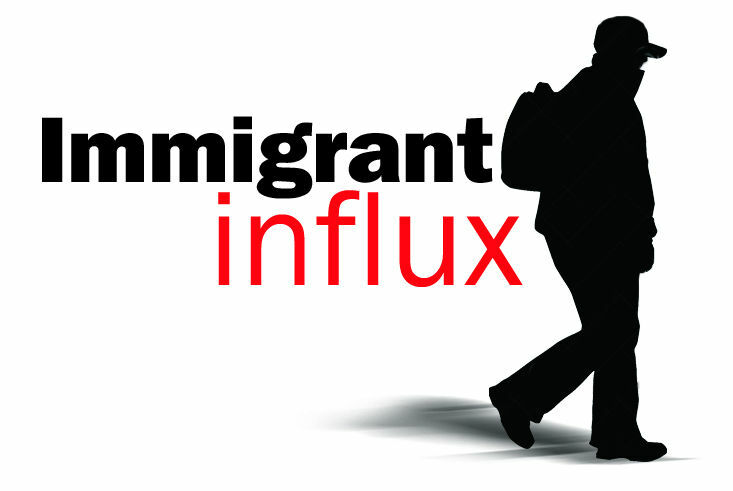 It was assumed by President Barack Obama, who instituted it in 2012, that Congress would soon pass meaningful immigration reform that would address the status of these youth. But our divided Congress for years has been completely unable to come up with any type of immigration reform, and so we question how President Trump believes our lawmakers will now do so in just six short months? It’s ironic that President Trump, who has criticized the program for not having an “end date,” has now given it a firm one. But it’s an unrealistic date for our nation’s 535 members of Congress to meet, especially given their previous track record on this issue and anything dealing with immigration over the past decade. That window has always been there and for whatever reasons — political, economic or a lack of priorities — Congress has failed to act. So why are we to believe it will do so now, and do so quickly? In the meantime, Trump’s announcement — to accept no new applications and to phase out the program over six months, but to honor existing work permits up to two years — puts the future of hundreds of thousands of these Dreamer youth in peril. And it will undoubtedly affect our country financially. So the time is now. There can be no more excuses from Congress. The fate of these youth — who gave willingly their addresses, parental information, whereabouts and pay taxes on their earnings — is in the hands of our federal lawmakers who must set a permanent policy. It’s a policy, we hope, that will be fashioned after DACA and will allow youth who were brought here by adults, and who are gainfully employed and/or in school and who have no criminal record, to stay in our country as long as they are contributing members of society. We most certainly do and Congress must realize that right now.